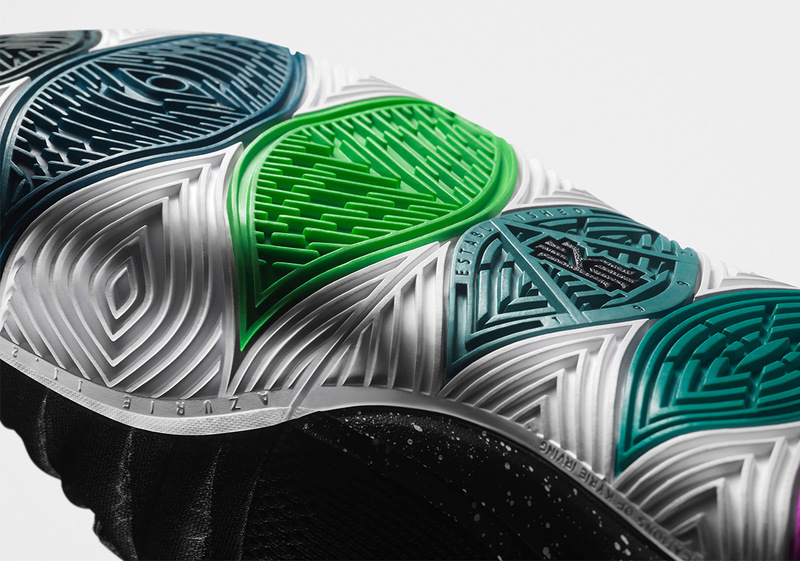 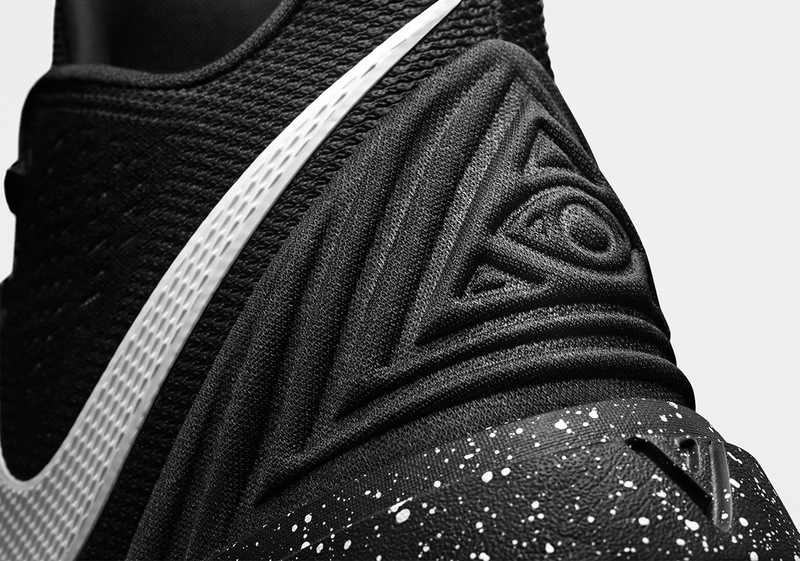 Kyrie Irving’s fifth Nike signature shoe has been officially unveiled. 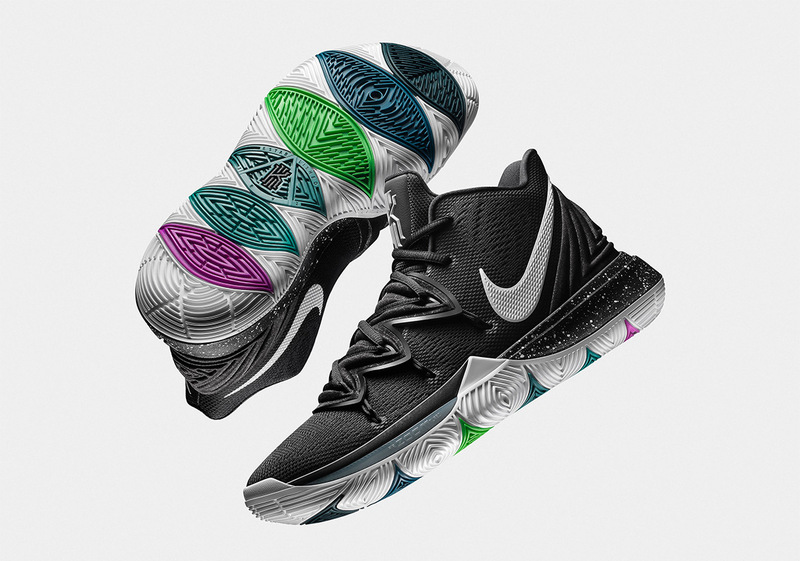 Garnering quite the nation of loyalists since the signature line was first unveiled back in late 2014, the Nike Kyrie legacy has grown to be one of the most popular basketball shoes on the market, approved by serious ballers and sneaker fanatics alike. 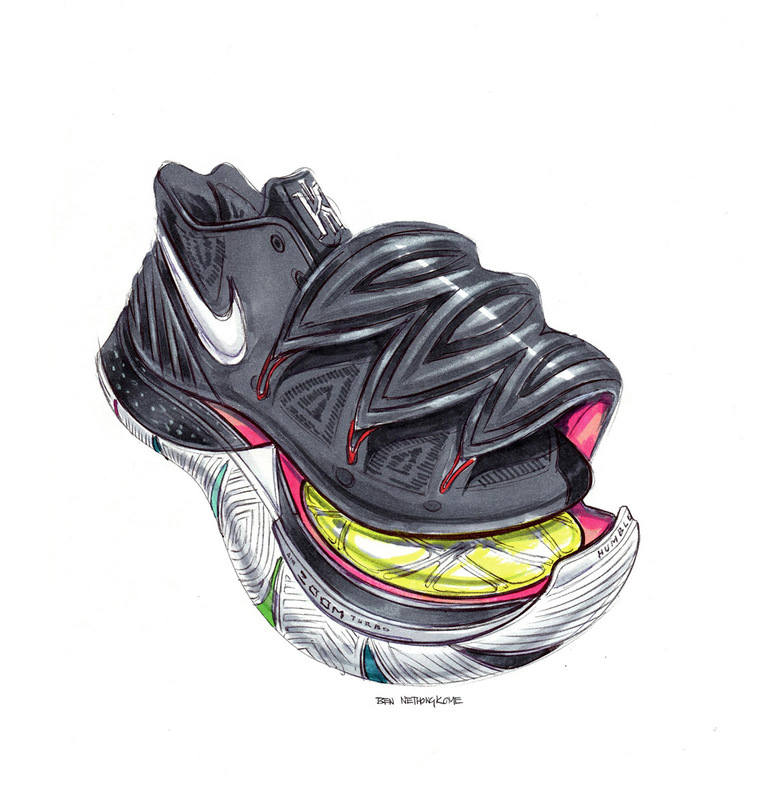 Thanks to its attention to on-court performance as well as enticing colorways, the bar has been set rather high and the new model, although it’s pretty clear that its equipped to set an even higher standard. 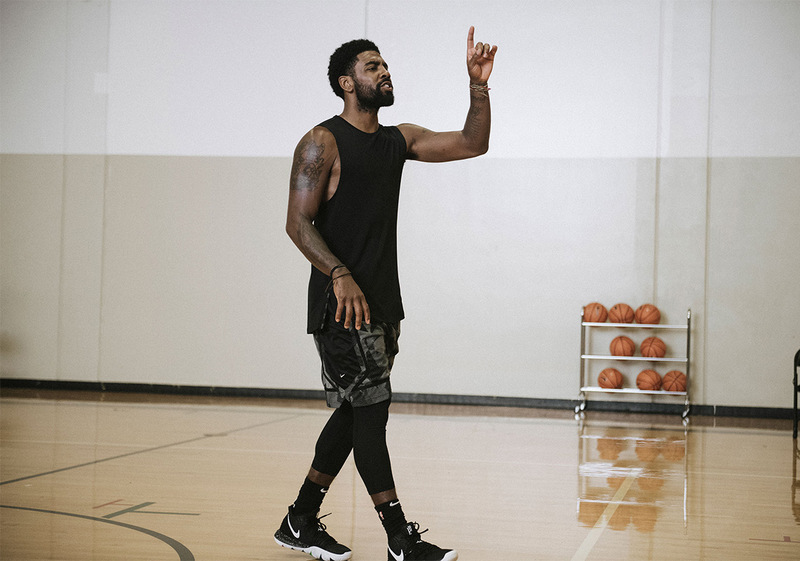 Designed once again by Ben Nethongkome, the Kyrie 5 delivers all that the superstar needs. 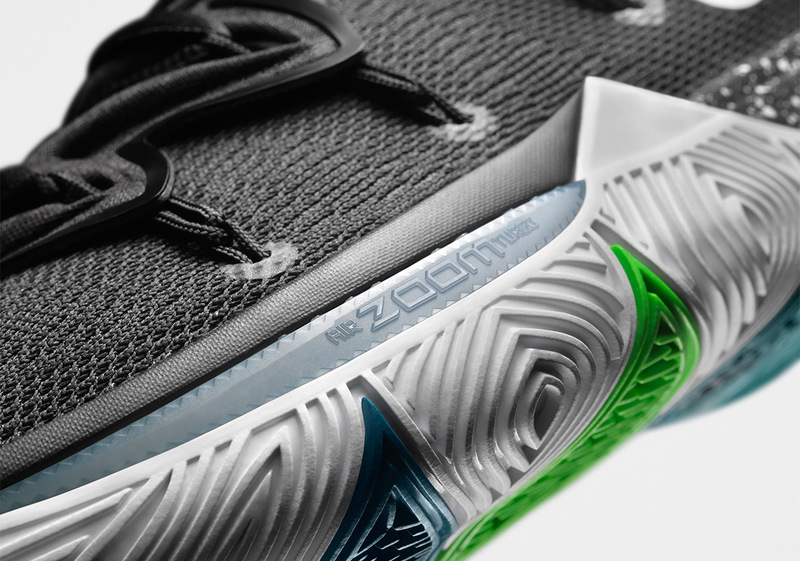 The new articulated fore-foot Zoom cushioning provides full support during the millions of steps and cuts he takes in a game, while the new lockdown system provided by the Flytrap mechanism keeps him contained. 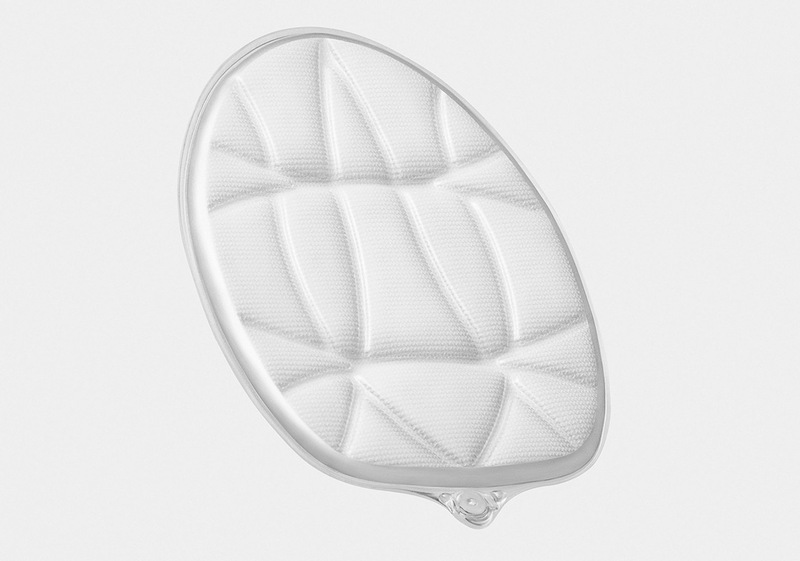 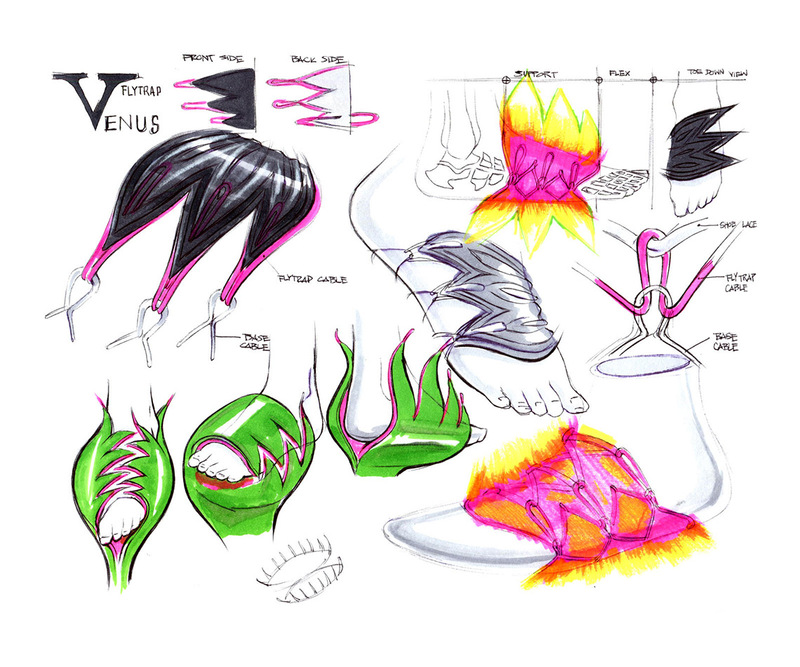 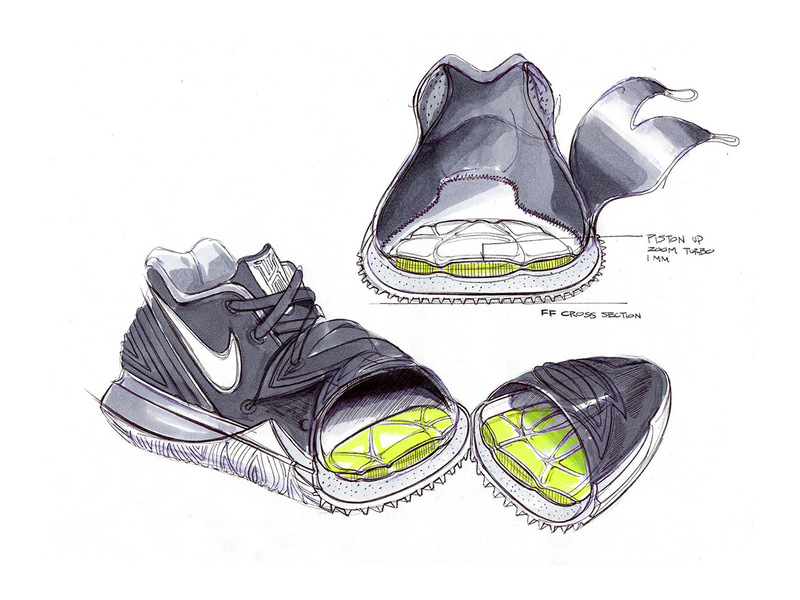 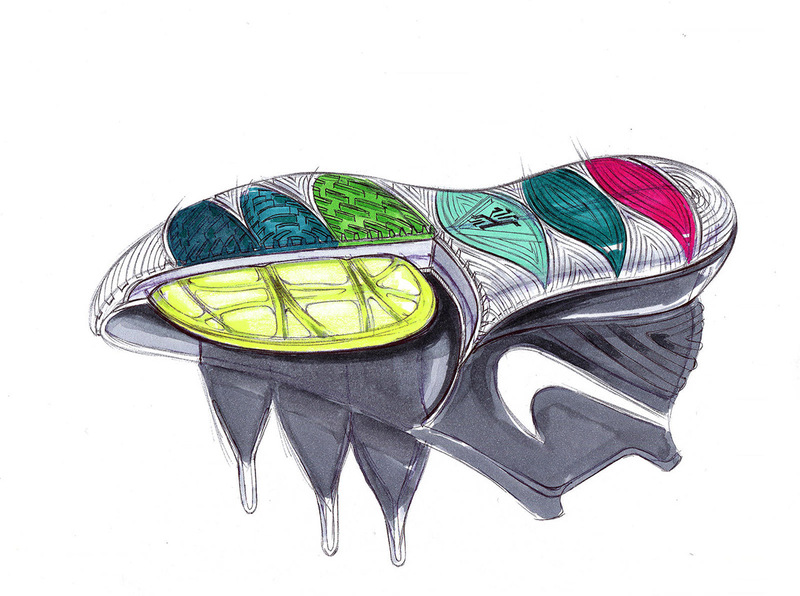 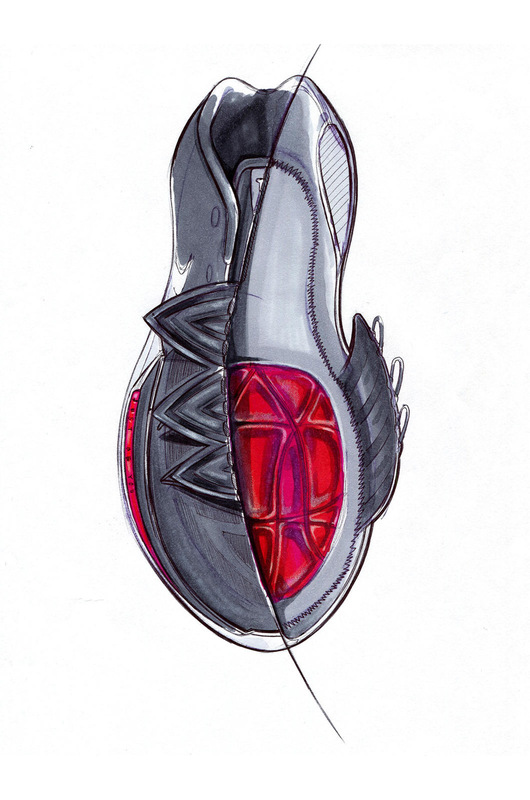 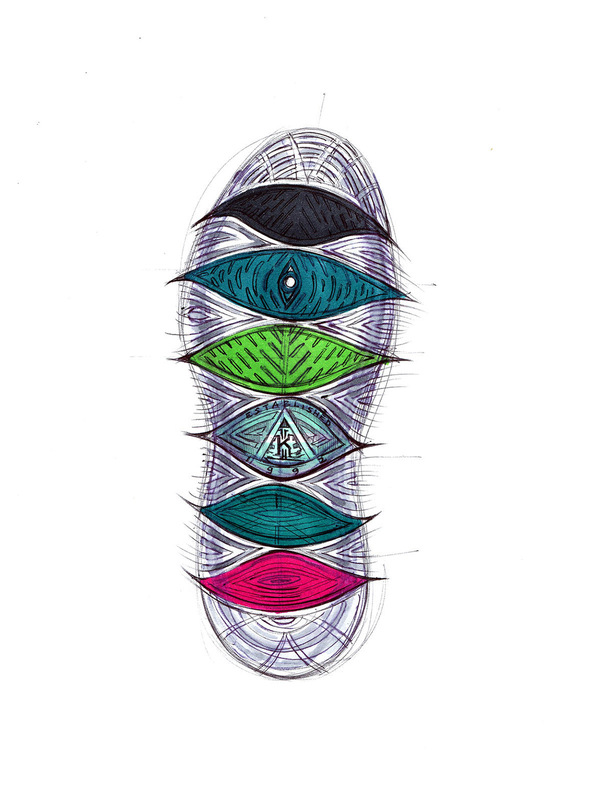 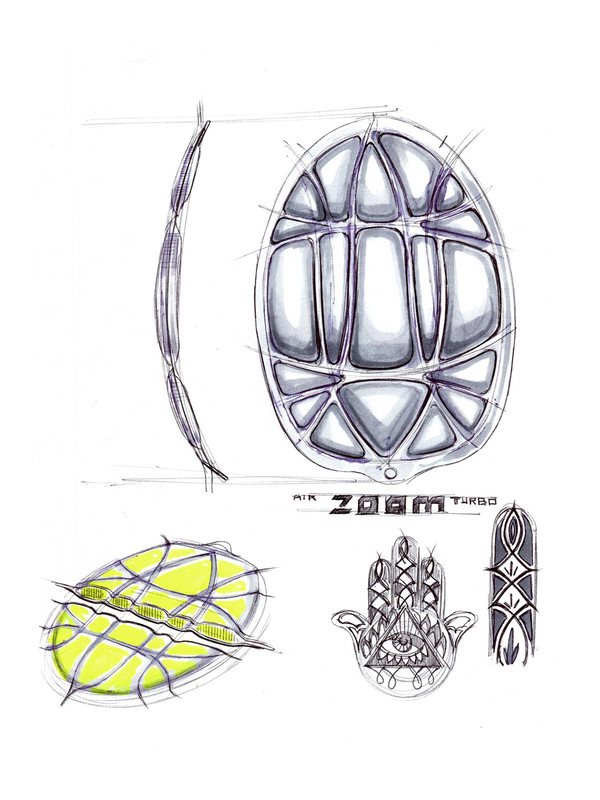 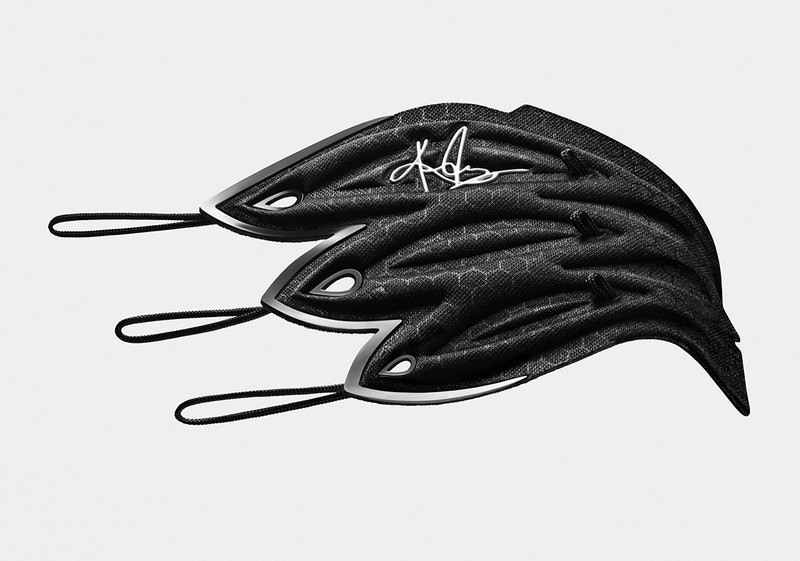 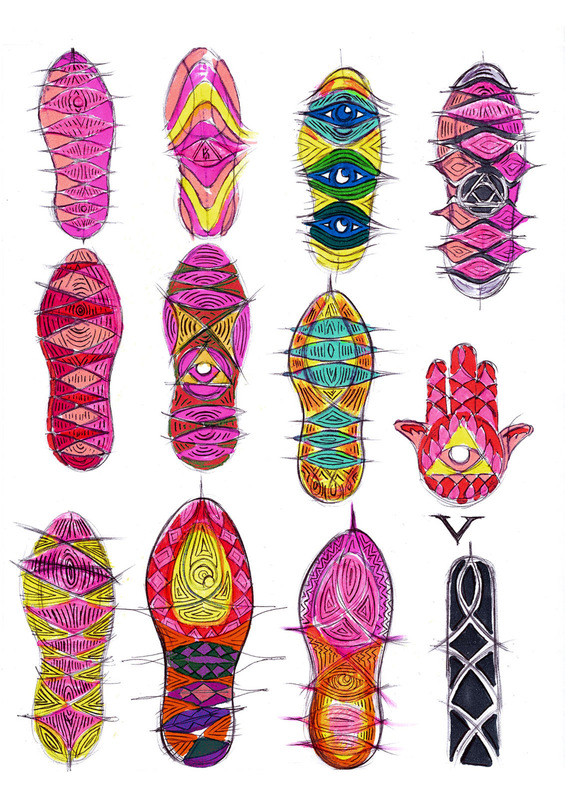 The new traction pattern, inspired by his vision as well as his arm tattoo, also plays into his multi-directional style. 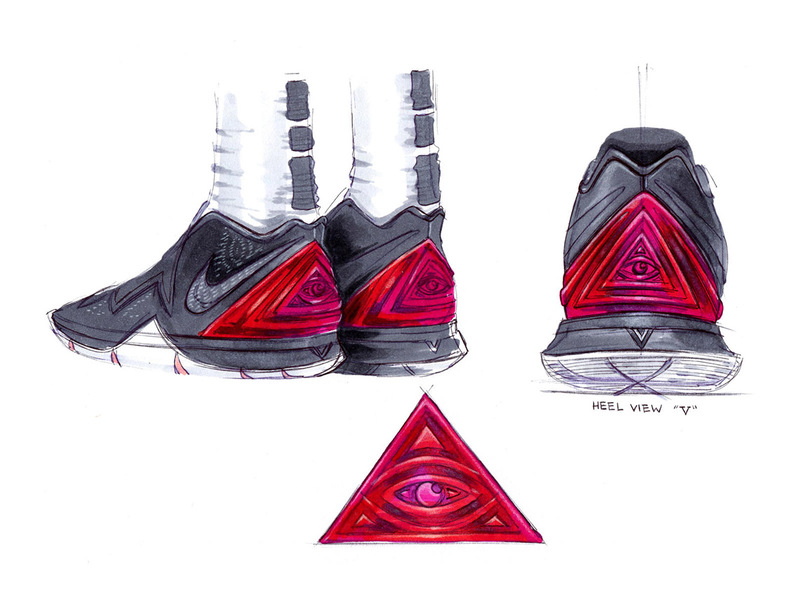 What made the Kyrie 4 such a hit (and one of the very few signature basketball shoes to catch the attention of the sneaker world) was the color-blocking. 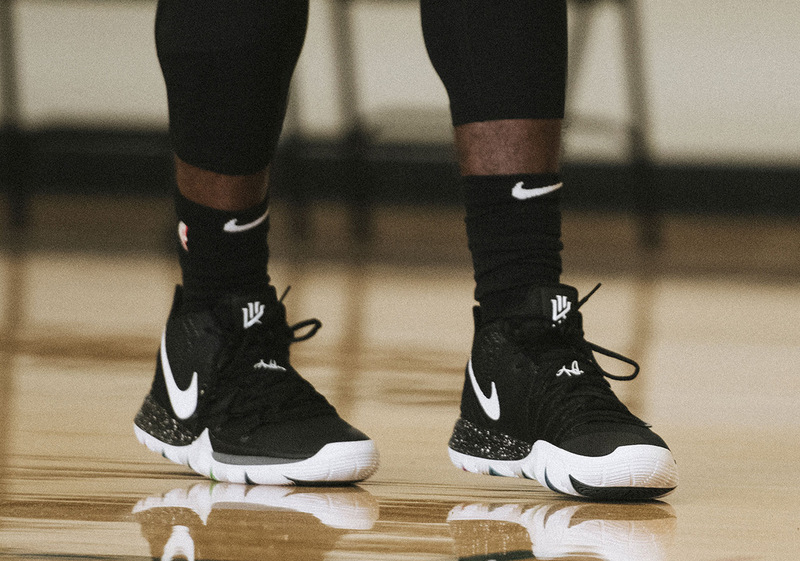 The brand really flexed its muscles with the Lobster-inspired joints, the trio of cereal-themed servings, and even the most readily-available GRs. 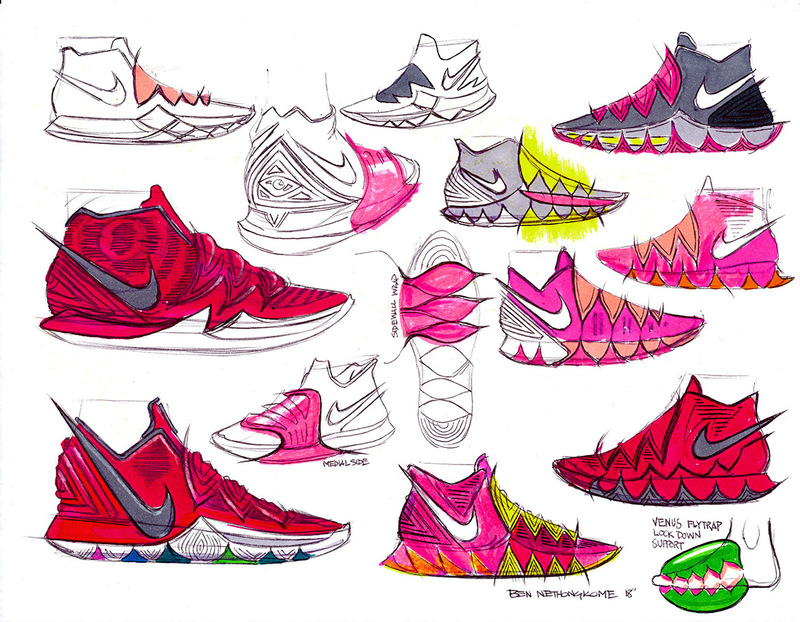 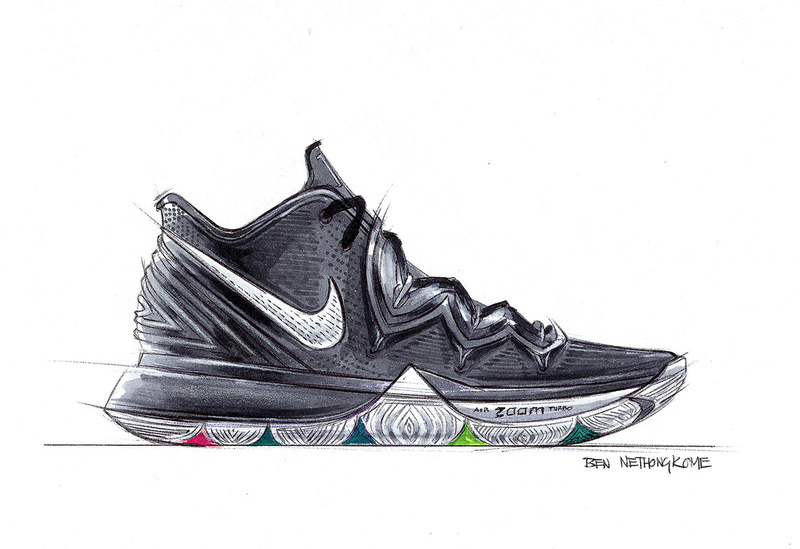 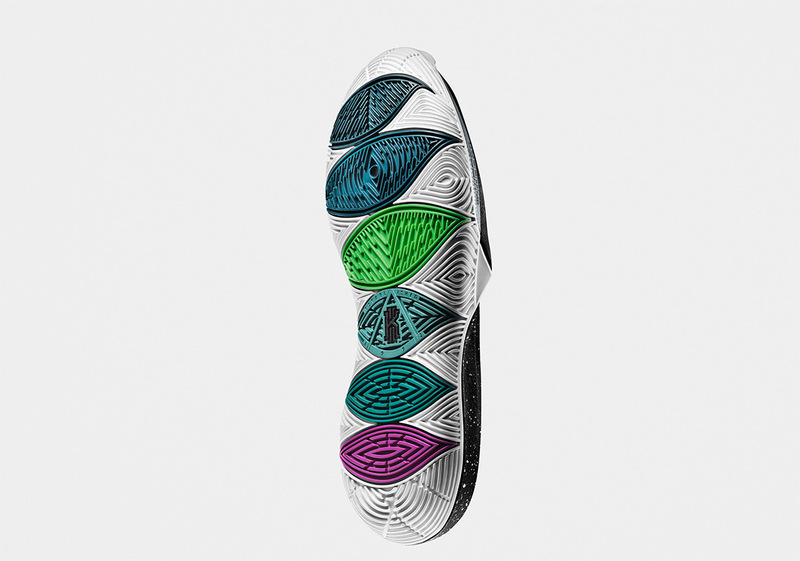 The Kyrie 5 is a flat-out dream for the color design team because there are so many opportunities to get creative. 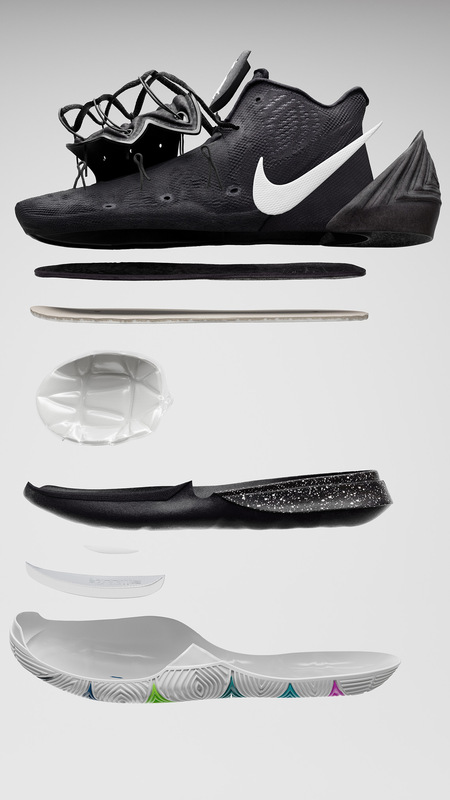 The new Flytrap at the mid-foot and the molded heel piece present some space to get funky with materials as well, so we anticipate even more magic when it comes to dishing out irresistible releases. 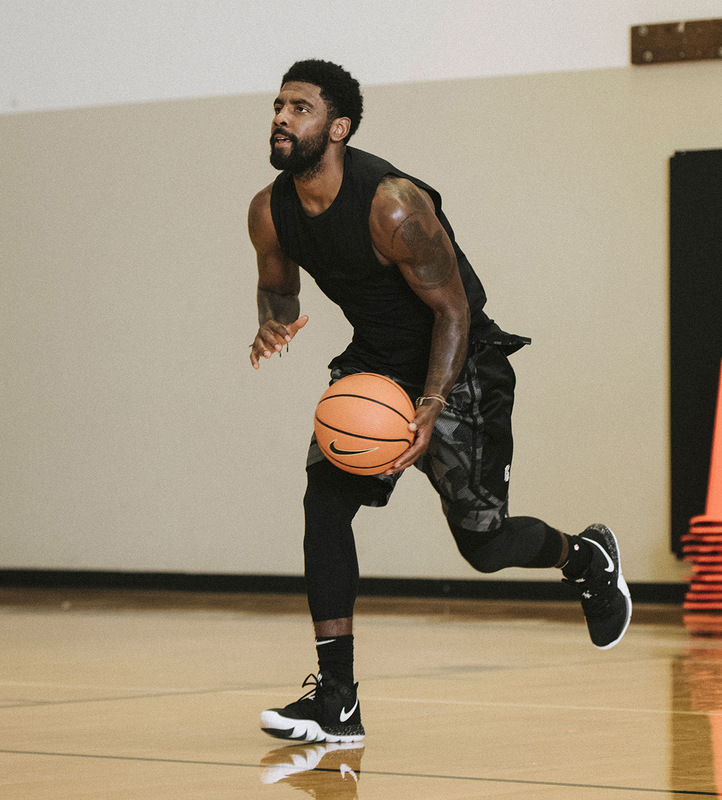 The Nike Kyrie 5 will officially release on November 22nd in the “Black Magic” colorway, with a release in China scheduled for December 6th.